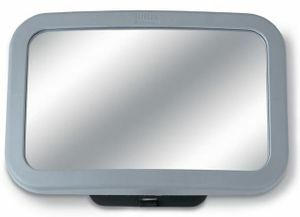 Please note that this item is NOT affected by the Britax B-Safe 35 Chest Clip recall. I love Britax and the ease of adjusting this seat, but at 7.5 months it no longer fit my son- his shoulders touched edge to edge in the seat. He's 20lbs and 28" for reference. I suppose if you have a string bean baby, it might last longer. I'm really disappointed and wished we didn't have to purchase a convertible car seat so soon. Other complaints- sometimes stuck when trying to unlatch from base and it was really hot (summer baby). As a first time mom, I researched car seats for a very long time. 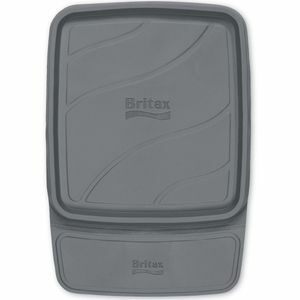 I decided to choose Britax over the rest because of its durability and the Clicktight system. I have been extremely satisfied with this car seat and the overall travel system. If you are on the fence about a car seat. I highly recommend getting a Britax car seat. I bought this to go with my b ready stroller and was a little nervous as I have a very chunky (97th percentile) baby but she likes it. I do have to "dig" her out but it hasn't been a problem for either of us. Very good quality, cozy padding, easy to use. The canopy was a little disappointing as it's a little saggy but it will make it softer on her head as she grows taller. I like the 32" height limit. Great carseat but after year 3 the handlebar stopped working and is now stuck in one awkward position. This is was our second Britax car seat, and we will never use another brand! 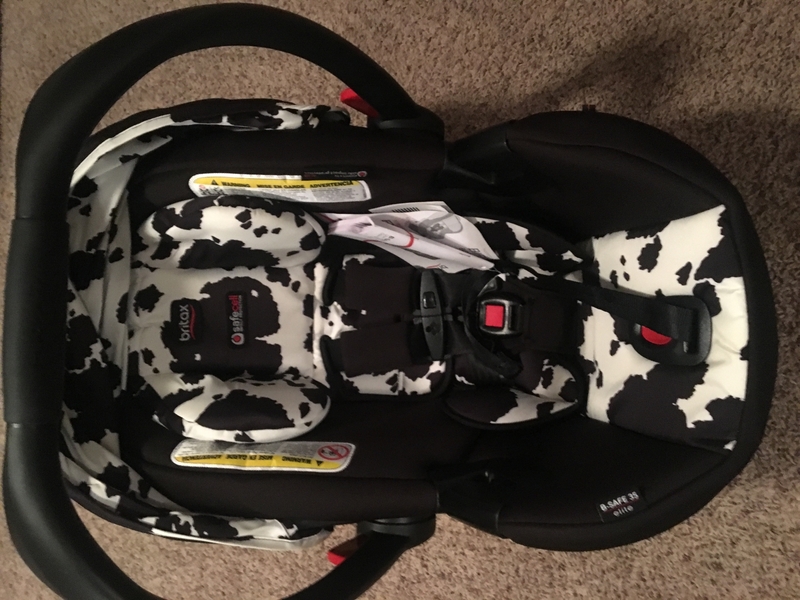 We were in a recent car accident with our 7 week old with this carseat and it did not move! We were told by the EMT's that she was extremely safe and she did not even have a mark on her from the harness rubbing. We also have a Marathon Britax and it held up perfectly! These carseats kept my little ones very safe! 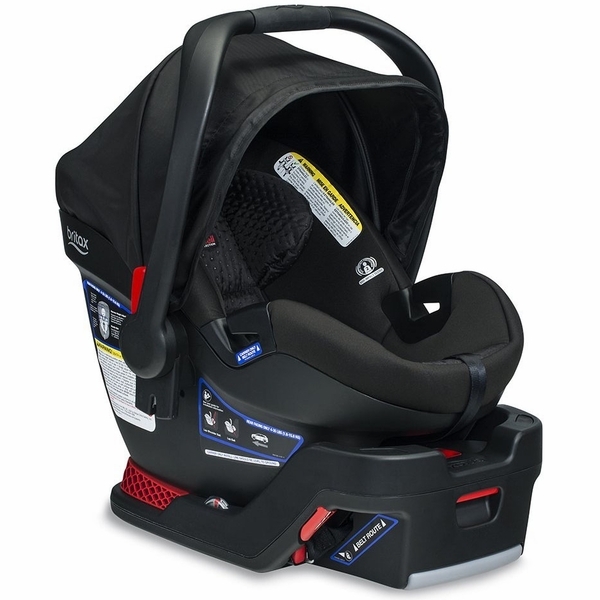 We hit head-on going 35 MPH, it says a lot about Britax's product! We will be replacing them with the same kind! They are expensive but WORTH every penny! Used 2.5 years for same kid! We've had this seat (also base and stroller) since April 2016. My babe is little so he's been in it for 29 months. It has never let me down and he never fights getting in it. I'm secretly sad that he's grown out of it because it's been so great. Fits in all our vehicles with no issue, easy to carry, and easy to adjust. I have had no issues with this seat. I like the material since he doesn't sweat in it as badly as other materials and it's easy to wipe. I also bought the B-Safe 35 Elite and have had nothing but problems with that seat. I may have received a bad seat I'm uncertain and Britax didn't seem interested in correcting the issues. But with this seat...no problems. Should've bought two of these and passed on the Elite. It is also a bit wider than the Elite. Although you have to adjust the straps by hand as they get taller it doesn't cause problems with the straps and yoke turning in the back of the seat. The car seat arrived quickly! It looks great and is extremely sturdy. Great brand and it looks amazing. As a first time mom, I researched many car seats and felt this one was the best. The base was easy to install and the car seat itself was not too heavy. It snapped great with its corresponding stroller. When my baby reached at about 5 months, we noticed she was a bit squished from the sides. Grant it, my baby was on the chunky side for her age but she did not like being in the car seat. Luckily my MIL had the Britax Car Seat 2014 and its sides were wide and spacious to easily place and take out the baby. 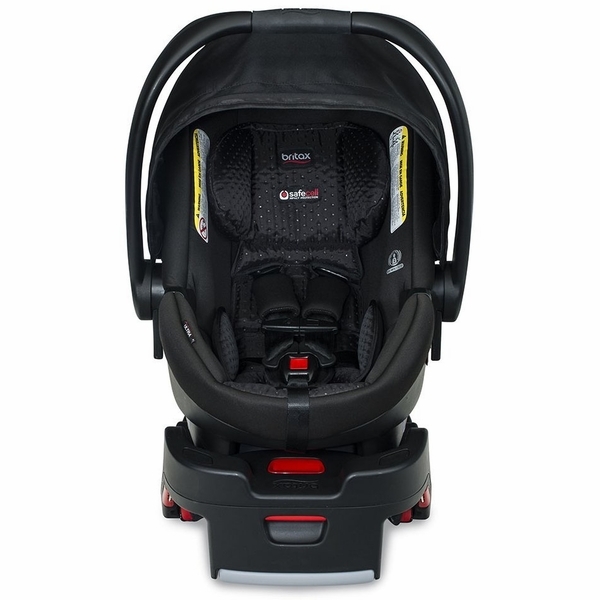 I compared the width of this car seat (B-Safe 35) with others like Graco, Maxi Cosi and its width is definitely too narrow. That is my only complaint, the sides were too narrow. Aside from that, the car seat is great! I really liked the canopy. As a first time mom, I researched many car seats and felt this one was the best. The base was easy to install and the car seat itself was not too heavy. It snapped great with its corresponding stroller. When my baby reached at about 5 months, we noticed she was a bit squished from the sides. Grant it, my baby was on the chunky side for her age but she did not like being in the car seat. 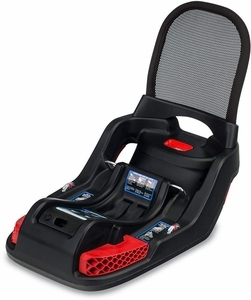 Luckily my MIL had the Britax Car Seat 2014 and its sides were wide and spacious to easily place and take out the baby. I compared the width of this car seat (B-Safe 35) with others like Graco, Maxi Cosi and its width is definitely too narrow. That is my only complaint, the sides were too narrow. Aside from that, the car seat is great! I really liked the canopy. I love this car seat and stroller set. It has been wonderful up until she began getting chunky. Her thighs are very chunky and there is no room for them. I literally have to scrunch her legs to get the belt to fasten. I literally have to peal her out of the seat because it has become to small. Now I will need to get a new seat because she is just so chunk! I would recommend it for smaller babies. But it is definitely not recommended for something that can grow with your baby. This seat feels quality; however, it appears ridiculous. There are at least 8 or 9 hideous, obnoxious warning labels plastered all over the seat. Multiple languages, too. Really cheapens the otherwise nice, simple look of this carseat. Labels don't peel off easily either; the sticky ones are the paper thin kind with the ridiculous glue that never comes off. The two in the seat itself are on either side of the baby's head, with double reinforced stitching lining each sticker. These appear to be part of the actual fabric of the seat, I have been unsuccessful getting them off even with a seam ripper. I bought this car seat a week ago for My bob rambler jogger Along with the stroller adapter and it's so cute! I love the cowmo print. The deepness of the car seat makes it look like baby will be so comfy and secure. I will say the car seat is a bit heavy but overall I love the car seat and the brand. Wish I would've went with this brand for my first born! This seat is beautiful, functional and easy to install. The only thing I don't like is how heavy it is! Love this car seat! Has great features and lots of padding. I like how the baby sits deep and snug in the seat. The strap is easy to adjust and the padding around the neck area is great. The handle is also easy to adjust, easier than the other infant car seat I have. A great investment in your child's safety and comfort! I am always happy with my Britax products! We have a baby due in August and I needed to update my infant seat for baby's arrival! I got my seat in a very reasonable time and excitedly took it out of the box. WOW! Very well built with some awesome new features my old seat didn't have! Can't wait to bring home my little love in it! And of course, ordering through Albeebaby is always a breeze! I ordered this seat for my second child in the cowmooflauge pattern after doing a lot of research about the best brands. It feels much safer to me then the Chicco keyfit I had with my firstborn, it is a bit heavier and narrower than other brands but thatEtms because it has a steel frame and extra side impact protection which is worth a little extra weight to me. ItEtms very plush and my 6 month old is still comfortable with lots of growing room left. My little one was always confortable, easy to carry but a bit heavy. We will be using this again with our 2nd one that is on the way. I like the update to this carrier. I had the b-safe and expired. This is not too heavy and the support is great! I wanted to know if you have this piece to buy, because the one in my cart broke! Began using in May when my daughter was born. Left handle adjusting mechanism either sticks or doesn't depress 90% of the time. Furthermore during harness adjustment straps often get stuck. Fabric has pilled and sunscreen has faded. I purchased this product after researching for weeks on the best car seat. I waited to write a review because I wanted ensure that I had adequate time to test out the product. My bay is 9 months and she is still using this product. Installation was a little tricky but that is completely on us for not thoroughly reading the manual. My daughter gives me no fuss getting in and out the seat. It is a fairly heavy car seat and quite bulky but those features make me feel like the car seat is safer. I have had no issues with a loose base. My harness clip stays in tact and adjusting the straps is very easy. My only riff is I wish there were more of a varirty in prints and colors. The black is very drab. I like girls to have girly things. All in all ths seat is very high quality and worth purchasing. I brought this product to go with my Bob stroller and its absolutely amazing. Its easy getting it in and out of the car once you have done it a couple times. One thing I do not like is that he bar to pick it up is close to the cover protector hard to get your whole wrist around but other than that it works great. Love how I can adjust the straps easily. My husband and myself purchased this carseat after doing months of research on infant car seats. We loved all the safety features and the sleek style this seat had to offer. Now that our son is 3 months old weighing nearly 17lbs and measures about 26 inches in length he can barely fit in the seat! This seat claims to hold babies up to 35lbs but that is definitely not the case! The built in head support at its highest setting is far to low for our son and pushes his little shoulders down which keeps him in an uncomfortable slouchy position. If you are a median income citizen such as myself this is definitely not a car seat to purchase if you plan on using it for more than a few months. 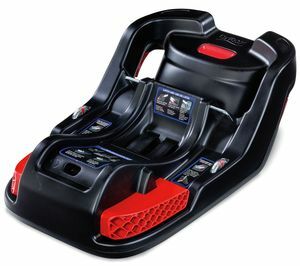 We really wanted to like the B safe 35 Elite for our twins, but unfortunately they did not live up to our expectations. The seats are pricey and the material used is poorly padded and scratchy. They are extremely heavy, are very narrow, and also have extremely deep bucket seats. My twins scream every time they get placed in these seats. Our twins continue to demonstrate their chin sitting on their chest due to the deep bucket seats. I have contacted customer service (sent pictures too) and they provided limited assistance to adjust their position. I was thinking that the poor neck position was a result of them being little newborns, but still at 4 months their head position is poor. For the cost of these seats I would expect higher quality and better padded material. I have done extensive research on other infant carseats in a comparable price point and their materials are much more plush. I want nothing more than to return these carseats and get our money back. We will not ever consider purchasing or recommending Britax carseats in the future. We really wanted to like the B safe 35 Elite for our twins, but unfortunately they did not live up to our expectations. The seats are pricey and the material used is poorly padded and scratchy. They are extremely heavy, are very narrow, and also have extremely deep bucket seats. My twins scream every time they get placed in these seats. Our twins continue to demonstrate their chin sitting on their chest due to the deep bucket seats. I have contacted customer service (sent pictures too) and they provided limited assistance to adjust their position. I was thinking that the poor neck position was a result of them being little newborns, but still at 4 months their head position is poor. For the cost of these seats I would expect higher quality and better padded material. I have done extensive research on other infant carseats in a comparable price point and their materials are much more plush. I want nothing more than to return these carseats and get our money back. We will not ever consider purchasing or recommending Britax carseats in the future. I bought this to transport my grandson. It is the same model as the one my son has. Our car seat is too narrow to hold my grandson who is 4 months old and 18 pounds. He barely fits in the same model seat my son bought for him (serial number S03803900003253). I have disassembled our seat as directed by the instructions and can't see any way to make it wider. Is there nothing else we can do? 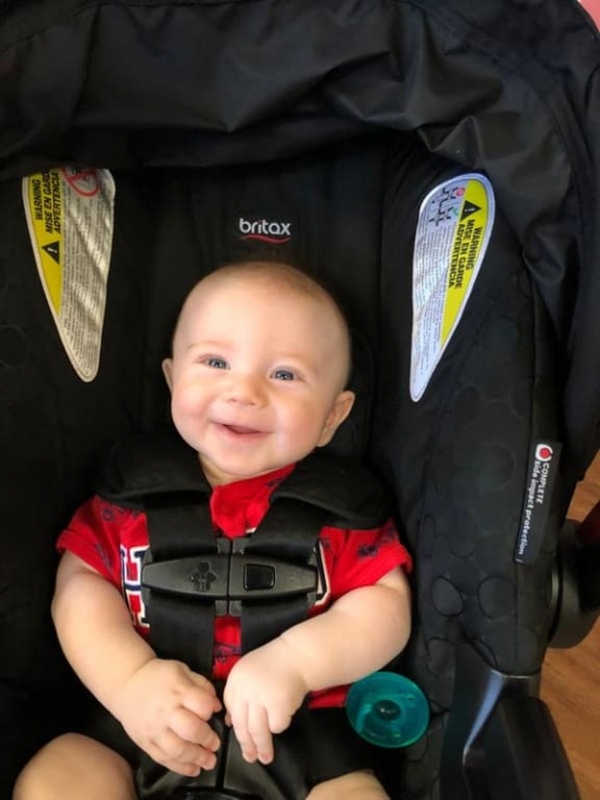 We are so grateful to Britax for their car seat's safety. My 7 month old niece was in a head on collision this week with a semi truck while in her Britax car seat. While the car was demolished and her mother sustained serious injuries The car seat looks as if it has never been touched and truly saved her life. We can not express the thanks and gratitude we feel to your company for the safety measures you take knowing the precious cargo that it carries. We can not possibly tell you thank you enough and have earned yourself true loyal customers and a lot of publicity to anyone who will listen to us. This car seat is incredible. Great quality and so comfortable for baby. Love it! My husband and I were so excited to receive this car seat as a gift. 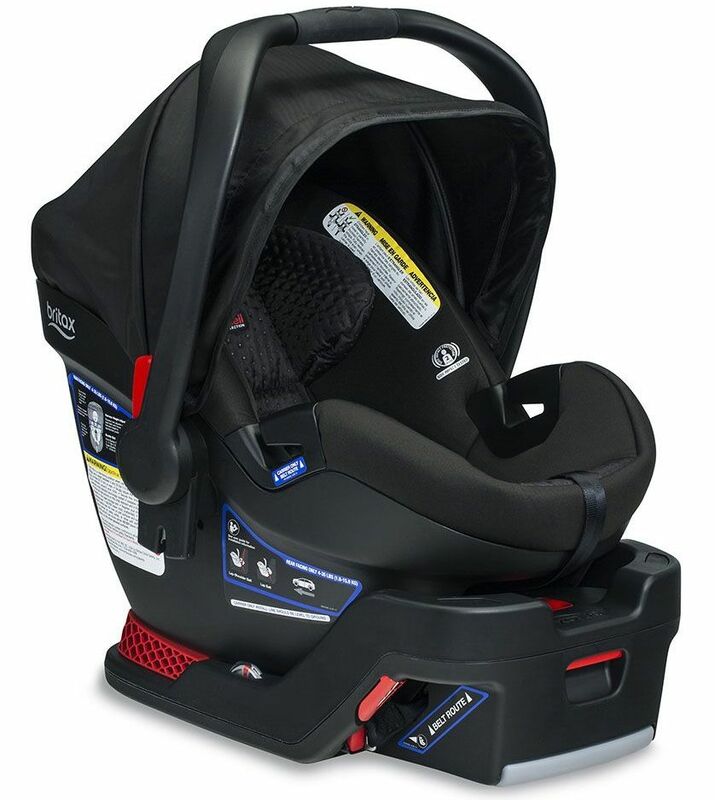 We've heard from friends and car seat installers how easy and safe this seat is. We were able to install it quick and easy in my husband's truck. Took it to be installed in my car (2012 Honda Pilot) and found out that it will not work. I'm so sad that we are going to have to trade this seat in. We bought this seat for our 4th child after using Graco infant seat for our other 3 children. It was a big getting used to, as it's just different than our other infant seat, but so far we are very happy. 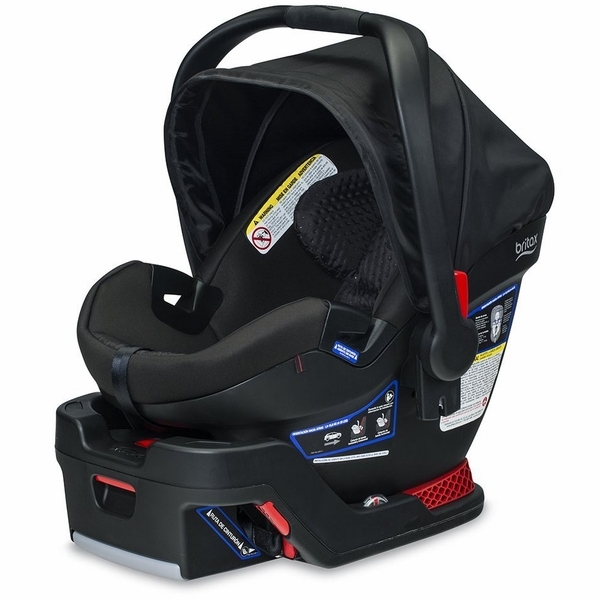 We loved the safety features and easy installation of our Britax convertible car seats so when looking at infant seats this time around we went right to see what Britax had to offer. Base is easily installed and seat clicks into the base with very little manipulation. My baby was just under 7 lbs when born, so he is small. The only caution I would give to other parents is that I'm not sure it would be a great seat for a larger baby. The baby is very snug and I'm not sure a larger baby would be comfortable. I'm curious to see how he fits as he grows over the next few months. Other than that, so far we very happy with this purchase and would highly recommend this product and other Britax car seats to other parents. First Baby, who is now 11 months, and this carseat has been great!! VERY durable. You can tell when carrying it that it is very well built & heavy duty. Getting a little heavy for me to carry, but we usually take her out of the seat, and leave the car seat in the car now. It still looks brand new after 11 months, and a lot of use. We borrowed a Chicco brand from a friend for our second vehicle, and we did not like it at all. Not comfortable, not nearly as big and spacious for our daughter. Britex all the way! I purchased the B-Safe 35 Elite based on the fact that I had an old Chaperone travel system where the seat had expired but the stroller is in excellent condition. The site for the B-Safe says: "Click & Go stroller compatibility allows you to pair the car seat with any Britax stroller and customize the perfect travel system. No adapters necessary." Turns out this is not true. It only works with currently manufactured strollers and does not work with the old Chaperone. Their information was not specific and now I have to spend more money to purchase a stroller too. If the information had been accurate I could have just purchased a travel system up front. Not happy. I bought this after reading many reviews and talking to my OB and pediatrician; I felt very confident about it. I did read that it was a little heavier than the other seat I was considering, but I wasn't prepared for how heavy it feels. It's also harder to install the base, and make it really tight, than the other one I had and wish I had gotten again...I wish I had gotten the car seat I had with my first son and wouldn't recommend this car seat. I did a lot of research and got this seat even though people said that it was very narrow, my son is stocky and is still in this seat at 13 months. I try not to carry him in it unless he falls asleep because the seat is a bit heavy and he is now 20 pounds haha, but I feel the depth makes it safer than a lot of other infant seats on the market and would buy it again in an instant. I am so disappointed to have to write a negative review. When my baby (and car seat) was only three months old, the chest buckle broke completely as well as the buckle that clamps the straps. I exchanged it for a new one. And now...7 months later...the chest buckle broke again! After I have been extra careful with it. I am extremely disappointed and will NOT be buying another britax. 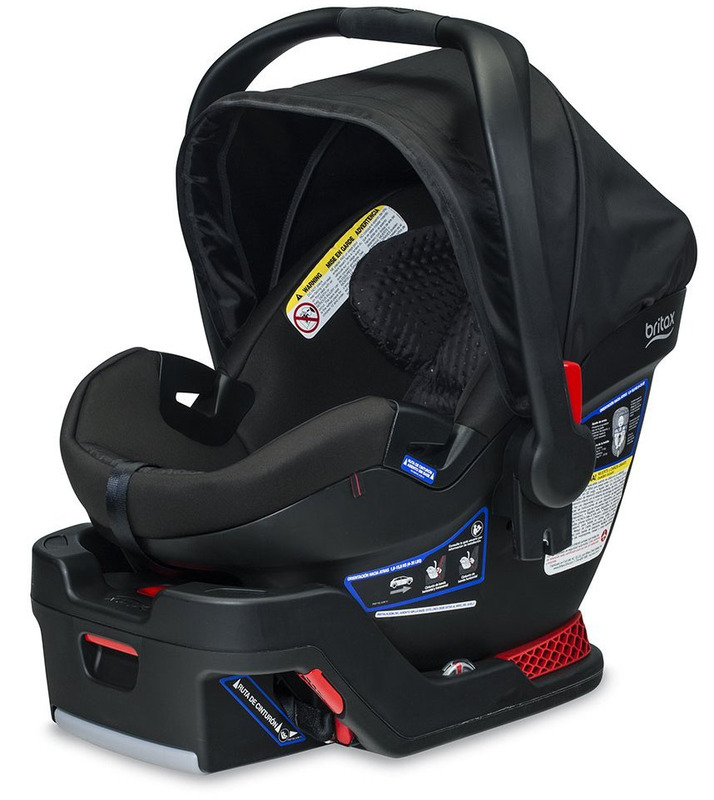 We read a lot of reviews and decided on the B-Safe 35 Elite as our carseat for our 1st baby. 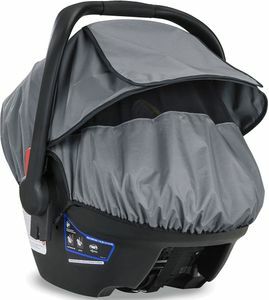 I was recommended this carseat by several friends who also rated this the number 1 carseat to keep your little one safe. This car seat is too narrow and deep. At first I thought maybe my first child just didn't fit well in the car seat. However, my second child, now 2-months old, is having the same issues. He's squished in the car seat. He's always hot in the car seat and the padding around the car seat straps (at the neck) are so thick that I feel like I'm strangling my baby when I'm buckling him in. I loved this car seat at first but the last few days I have been going to take my daughter out and the chest clip wasn't buckled anymore.. I started accusing my husband of not buckling the chest clip and nagging him to pay more attention. It's now happened to me twice just today. I played with it and if you just barely touch it, it unclips. I tried pushing it out hoping maybe it just had bent in from 5 months of use but I couldn't get it to help any. Not sure how I will fix it, I don't feel comfortable traveling with my daughter in it. I'm highly disappointed since I thought I was buying one of the safest car seats. We did our research and decided on the B safe 35 elite for our first little guy. I am SO happy that we did, especially after seeing a friend's carseat after 12 months of use. We've had our Britax for 9 months now and it still looks amazingly clean and is incredibly durable. It is definitely on the heavier side as far as carseats go, but 100% worth it for us as the sturdy construct gives us peace of mind. He falls asleep within minutes of being buckled in so I know that he's snug and comfortable in there. It was very easy to install with the base, and clicks right in without any issue. I like that we will 100% be using this carseat for baby #2, while friends whose Graco infant carseat did not hold up as well as our Britax are looking into another carseat for their second child. Happy to provide my son wit the safety features of this product. I also purchased the newborn insert to use until he's a little bigger. We bought this car seat for our grandchild so we had a car seat when we are babysitting. We watch our little guy 5 days a week and I did extensive research on car seat safety before buying it. It was great when he was 3 months old. He is now 6 months and weighs 22 pounds. The car seat is so narrow that he doesn't fit. He started to cry every time we secured him in at 4.5 months. I am quite disappointed since we now need to purchase another seat. My daughter has a Chico Key Fit infant seat that he still fits in well. Great safety ratings -terrible shelf life. Our 4 month old started crying when we placed him in his seat around 2 months. By 3 months he would just all out scream (settings all adjusted to the biggest/tallest settings, and our baby was a preemie who is now around 13 lbs at 4 months. He is long but still well under the 32" limit). We had to buy a convertible car seat around 3 months because he would just scream the entire time, sounding like he was in pain. I am disappointed in only getting 2.5 months out of something expensive! My youngest is in this infant carrier and overall we have been quite happy with it. It's compact and easy for all caregivers to use. The open belt path for use without a base makes it foolproof and no cover needs to be removed or repositioned. My only complaint is the straps came a bit twisted and I needed to rethread them to get proper tension on baby. Not a difficult fix, but a step I had to take none the less. I have had this seat for 6 months. The front buckle piece that releases the straps broke on the inside after two months and continues to come apart. The chest buckle began not latching last week. The piece that connects the latch has now completely broken off. I have a friend who has the same seat and the same issues have happened to her seat. This car seat is way too narrow. My baby is 4 months old 16 pounds and 24 inches and has already outgrown this car seat. I wish I could return it and go with a brand that would last longer because this seat was too expensive to only last a couple of months. I am going to go ahead and switch to a convertible seat for her comfort. It is also very heavy, but my biggest issue is how narrow it is. My daughter hates getting in and out of it. Her shoulders are squished and her chin is stuck to her chest. When she was a younger she would sleep in it, but now she wakes up after about 20 minutes because of she so uncomfortable. I do not recommend this seat for the price. Providing advanced levels of safety, comfort and convenience, the B-Safe 35 Elite is the ideal infant car seat to keep your baby safe and secure on the journey ahead. SafeCell Impact Protection surrounds your baby in safety features that work together to protect beyond the established standards. The Impact Absorbing Base absorbs crash energy and our Impact Stabilizing Steel Frame gives strength where you want it most. Complete Side Impact Protection PLUS offers an advanced layer of protection with an energy-absorbing headrest designed to keep your baby?s head and neck extra secure in the event of a crash. To ensure the best fit, the Quick-Adjust Harness grows taller with your baby at the push of a button and Britax's SafeCenter LATCH Installation features convenient center-pull straps that make correct installation painless. The B-Safe Elite also features an Easy-Remove Cover that pulls right off for convenient cleaning and Premium Fabrics with Plush Foam Padding for superior comfort. The B-Safe Elite Infant Car Seat is rear-facing only (for babies 4 to 35 lbs) and has been designed to surround your baby in comfort and best-in-class safety, giving you the peace of mind to travel with confidence. SafeCell Impact Protection is an integrated system of safety components that work together to protect your child beyond the established standards. Including our Impact Absorbing Base, Impact Stabilizing Steel Frame, and Complete Side Impact Protection PLUS, SafeCell means your child is surrounded in best-in-class safety. SafeCell Complete Side Impact Protection PLUS gives your child an advanced layer of protection with an energy-absorbing head restraint designed to keep your baby?s head and neck extra secure. SafeCell Impact Stabilizing Steel Frame gives you peace of mind knowing there is strength where you want it most, at the connection point to the vehicle. Premium Fabrics with Plush Foam Padding surround your child in comfort. Ergonomic Handle makes carrying comfortable for the hand or forearm. Extra-Large Canopy provides sun and rain protection. Streamlined Design takes up less space in your vehicle while providing best in class comfort and protection. Quick-Adjust Harness grows taller with your child at the push of a button ensuring a proper fit without needing to re-thread the harness straps. 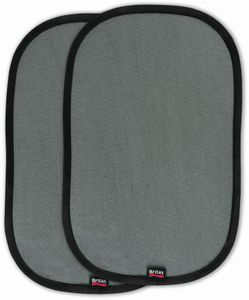 Easy-Remove Cover pulls free of the car seat for convenient cleaning without having to remove the harness. SafeCenter LATCH Installation provides simple, convenient LATCH installation through the use of easy center-pull straps that cinch down quickly. Built-in Lock-Offs ensures a snug vehicle seat belt installation with minimal effort. Spring-Assisted Recline and Dual Level Indicators make setting the proper installation angle simple and easy. Click & Go System featuring a quick-release handle makes for an easy and secure attachment to the any Britax stroller. Easy-Release Button makes it simple to loosen harness straps.